“If a company doesn’t have anything interesting to say, they have bigger problems to solve than where their next blog post is coming from.” That’s a bit of a jibe, but it does reflect the need for a change in perspective. Many companies see themselves as a vessel, with a finite number of ideas and pieces of information. In other words, their view of content is fairly static and self-centered. Once they’ve said all there is to say about their own products and services, the well goes dry. This is in contrast to what many successful business owners and entrepreneurs are doing with blogging and content creation. They create a blogging plan with topics and ideas to write about that customers would actually be interested in. They look at blogging as a byproduct of the ongoing listening and engagement that occurs between brand and customers, between brand and prospects and the community at large. 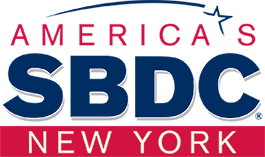 Staten Island SBDC has moved! The Staten Island Small Business Development Center has moved to its new location in order to better serve your needs. Now located in Building 3A - Room 105 at the College of Staten Island, 2800 Victory Blvd, Staten Island, NY 10314. The center will continue to provide you with excellent service you have been accustomed to at the SI SBDC at CSI. Please follow the center on Facebook at Small Business Development Center, Staten Island for the latest news and updates. The very first thing a loan officer looks for when reviewing a business proposal is some indication of how trustworthy you are. If your background demonstrates a lack of integrity, your request will not be considered, even if it’s the best business idea there is. They want to know a lot about you personally; who you are, how long you’ve been in business (if at all), and your history of meeting your financial obligations. Your credit history will be checked to see how you’ve handled previous debts. Why? Because if you are a small business, in the eyes of the lending party you ARE the business, and how you’ve handling things in the past is a good indicator of how you’ll handle them in the future. Could the "Six Strikes" Internet Initiative Cost Your Business Its Web Access? If you operate a small business that provides internet access to your employees and customers, you may find a warning popping up on your monitors, alerting you to the fact that someone your system has illegally downloaded copyright-protected material. That warning is part of the newly implemented Copyright Alert System (CAS). The CAS, commonly referred to as the "six strikes program," is a joint undertaking between major content creators and Internet service providers, designed to reduce illegal downloading of digital material from peer-to-peer sites. Since the advent of peer-to-peer computing, companies that create digital content--movies, television shows, music--have faced challenges to both copyright and revenue. Normally, a business is required to file Form 941, Quarterly Federal Income Tax Return, to report employment tax liability. IRS introduced the Form 944, Employer' ANNUAL Federal Tax Return, program after it realized that many small employers were filing Forms 941 with little or no employment taxes due. Under the original program, the IRS determined which employers were eligible and notified those that qualified to use Form 944. If the IRS determined you were a Form 944 filer, you were required to file that form until the IRS notified you that you no longer qualified. The employer had little control over which employment tax return it was required to file. Now, you don't have to wait for the IRS to invite you to participate. Instead, a small employer may request to participate in the Form 944 Program. You can make the request by calling the IRS at 1-800-829-4933 by April 1, 2013. Copyright Clearance Center (CCC), the rights licensing experts, is a global rights broker for the world’s most sought after materials, including in- and out-of-print books, journals, newspapers, magazines, movies, television shows, images, blogs and ebooks. CCC put together this video. Financial conditions were supportive of economic growth, and borrowing conditions for small firms gradually improved. The declines in small business lending stabilized, and small business borrowing turned up for the first time in 10 quarters. A copy of the bulletin. Should you need further information, please feel free to contact Victoria Williams at (202) 205-6533 or advocacy@sba.gov. Several 2007 NAICS industries have been realigned into new 2012 industries. The 2012 NAICS also includes a comprehensive review of the manufacturing sector. This has resulted in the consolidation of over 20% of the total number of manufacturing industries from 2007. For specific examples of this change as well as other changes for 2012, see the 2012 to 2007 NAICS Concordance on the NAICS website. August 17, 2011 Federal Register Notice-North American Industry Classification System; Revision for 2012; Notice. Vol. 76, No. 159. For a number of years, it appeared that teleworking was in ascendancy; more and more businesses were allowing employees to work one day a week or more from home, and data suggested that this led to increased productivity, less traffic congestion, and improved morale. Recently, though, a few large companies have done an about face. As was recently reported, Yahoo is one of the most high profile businesses to bring all of its employees in from home. If you were planning to pitch a telecommute agreement to your manager, don't worry. These could well be anomalies -- not a new trend -- and equipped with the right business case, you might be able to persuade your company to allow you to work from home one or more days a week. To help you identify what government financing programs may be available to help you start or expand your business, use SBA's “Loans and Grants Search Tool”. Note: Although SBA does not provide grants to start or grow a business, certain grants do exist for very specific groups, organizations, or activities – such as businesses involved in scientific research and development. Are membership dues charged for business development services subject to NYS sales tax? 1105(f)(2) of the Tax Law. Small businesses say tools such as online surveys and loyalty tracking systems are most effective at engaging existing customers, whereas daily deals and Internet ads seem more effective at attracting new customers, according to a survey from Constant Contact. The small business owners surveyed said online surveys (60%) are the top tool for engaging existing customers. Loyalty or frequent-shopper tracking systems ranked second (56%), followed by customer relationship management (CRM) tools (46%), and email marketing (45%). Gov. Andrew Cuomo issued an executive order Monday requiring state agencies to catalogue data and take steps to make it public on the website: open.ny.gov. The site was first announced in February. Thirty agencies are already participating, including the State University of New York and the Department of Health. The state Education Department is preparing to display data on the site. Real Estate Investment Trusts, or REITs, are a practical way for all investors to invest in large-scale, income-producing, professionally managed companies that own commercial real estate. As an investment, REITs historically provide portfolio diversification plus strong and reliable dividend income. Publicly traded REITs have demonstrated superior long-term risk-adjusted returns, as well as the liquidity and transparency of public capital markets. Here are answers to fundamental questions about REITs. "Business is brutal." "Kill or be killed." "Take no prisoners"... yeah, yeah, I get all that high-testosterone stuff. I'm not naive or polyannish about having to play to win in business. There are many ways you can show good sportsmanship in business, none of which will hurt your competitiveness (in fact most will help). "If you are a Human Resource administrator or executive, you can sign up for FREE copies of Human Resource Executive and Risk Insurance. The FREE trade magazines keep you up on the latest trends in your field, and you are under no obligation." Sole Proprietorship—Is this Business Structure Right for You? In a survey from Marketplace and The Chronicle of Higher Education, employers said what matters most to them actually happens outside the classroom. Your alarm is set for 6 a.m., but every morning you hear it blaring and hit snooze. Nine minutes later, you hit snooze again, and again, until your back-up alarm goes off and you get out of bed a bit after 6:40, groggy and pretty sure that planned workout isn't going to happen before you need to leave the house by 7:15.